The development of small and medium enterprises (SMEs) in developing countries is generally believed to be a desirable end in view of their perceived contribution to decentralized job creation and generation of output. SMEs constitute the dominant source of industrial employment in Bangladesh (80%), and about 90% of the industrial units fall into this category. The actual performance of SMEs, however, varies depending on the relative economic efficiency, the macro-economic policy environment and the specific promotion policies pursued for their benefit. For the JOBS Program, Zaid Bakht (1998) and Salahuddin Ahmad, et al. (1998) developed research papers that describe the policy environment within which SMEs in Bangladesh operate. The reports also discuss the accompanying legal, regulatory and administrative constraints to employment creation by SMEs. This paper attempts to highlight the findings of those two studies. To complement the issues discussed in those two papers, a summary of industrial problems, as perceived by entrepreneurs during the past one decade (HIID, 1988; MCCI 1992; World Bank 1994; JOBS 1998), is also presented in this report. In Bangladesh, SMEs playing a significant role for the development of our economy by creating employment opportunity and producing important alternative machines and machinery parts for saving huge foreign currency for our country. So as a part of our development strategy, we should intensify our efforts to develop this sector to grow industrial base and volume of foreign trade. As we know that in this age of globalization, it is impossible to stop the flow of foreign goods to any country. Only quality products can meet the challenges in global market. For meeting this situation SMEs need to upgrade their technological capabilities and production facilities in order to produce quality products at a competitive price. The evidence for the re-emphasis on the SMEs is manifest in the Government’s own policy intent, in any reasonable survey of the literature, and in any compilation of economic statistics regarding the industrial sector. Though the SME sector is becoming gradually a rising industrial sector of our country and contributing more and more to our export, this sector faces several common problems like lack of technical know-how, shortage of long-term financial support, lack of skilled workers, marketing link, R & D, knowledge on safety measures, hygiene, environmental pollution, etc. We need to acquire proper institutional knowledge in the fields of technological and managerial education and ask academics and researchers to work more vigorously for the sector’s rapid development. SMEs in Bangladesh produce a multitude of labour intensive goods including, consumer items, toys small tools and paper products for the domestic market. Further development of these industries offers various investment opportunities. Export-oriented production in SMEs has gained momentum in the past few years. Entrepreneurs from Hong Kong, Japan and Korea have taken advantage of Bangladesh’s cheap and easily trainable labour and its infrastructure facilities to manufacture products for the export market. I am lucky to say that our honorable teacher Mr. Md. Mamunur Rashid,Lecturer, Department of Business Administration, Stamford University, Bangladesh, assigned me the report on “SME banking in Bangladesh”.The data required for preparing this report has been collected from the various sources of most recent years. After Liberation of Bangladesh, intensive efforts were undertaken to accelerate the rate of industrialization in the country. At the beginning, import substitution and subsequently export-led economic growth strategy was pursued for industrialization. In order to attain this objective, large amount of industrial credit was funneled to the industrial sector. But the whole exercise of industrialization came to a halt with the massive diversion of resources to other non-priority sectors. Policy makers, of late, have come to recognize the contribution of SME sector towards economic development in the country. Small and medium enterprises have been recognized as one of the most important means for providing better economic opportunities for the people of least developing countries like Bangladesh. A developing economy like that of ours suffers from many peculiar problems such as disproportionate pressure of population on agriculture due to lack of rural industrialization, unemployment and underemployment of human and materials resources, unbalanced regional development etc. The contribution of small and medium enterprises in the solution of these problems is beyond doubt, provided they are organized and run on scientific basis. Small and medium enterprises are particularly suitable for densely populated countries like Bangladesh where SME sector can provide employment with much lower investment per job provided. Out of 11% employment of the civilian labor force provided by the manufacturing sector, about two thirds are estimated to be provided by the small and cottage industries sector. Again, development of small industries facilitates the effective mobilization of capital and labor resources. They also help in raising standards of living of people in rural areas. Contribution of SME sector to GDP remained above 4% during the period from 1985-86 to 1999-00. Moreover, the present contribution of SME sector to GDP is approximately 5% and SME sector employs 25% of the total labor forces, thus this sector is the present available sector for creation of jobs (Saha, Sujit R. 2007). Research papers developed by Bakht, Zaid (1998) and Ahmad, Salahuddin et al. (1998) described that the policy environment within which SMEs in Bangladesh operate accompanies legal, regulatory and administrative constraints to employment creation by SMEs. The robustness of SME contributions to employment generation is a common phenomenon in most developing countries in that the magnitude varies between 70% to 95% in Africa and 40% to 70% in the countries of the Asia-Pacific region (Ahmed, M.U. 1999).Liberalization of industrial and trade regimes along with globalization are likely to have had significant effects on Bangladesh’s SMEs (Ahmed, 2002; Bhattacharya et. al., 2000). Various recent studies (Ahmed, M.U. 2001, ADB 2001, USAID 2001) show that SMEs have undergone significant structural changes in terms of product composition, degree of capitalization and market penetration in order to adjust to changes in technology, market demand and market access brought by globalization and market liberalization. The official data show that the share of private investment in Bangladesh’s GDP in the late 1990s, which may be considered as the post-reform era, has remained more of less constant at around 15% (Bhattacharya, 2002). This may be interpreted as an evidence of stagnant private sector activities in the country. The recent private sector survey estimates the contribution of the micro, small, and medium enterprises (MSMEs) is 20-25% of GDP (Daniels, 2003). While SMEs are characteristically highly diverse and heterogeneous, their traditional dominance is in a few industrial sub-sectors such as food, textiles and light engineering and wood, cane and bamboo products. According to SEDF sources quoted from ADB (2003), food and textile units including garments account for over 60% of the registered SMEs. Despite these contributions in the economy of the country, Banking sectors are not interested in financing the small and medium enterprises; rather there is a decline in the amount of advances by the Banking sector. There are approximately 52 Banks operating in our country and all are serving large enterprises rather than SMEs though only the small enterprise’s contribution is 5% in GDP of Bangladesh in 2007.But why? What are the causes for which Banks are not interested in financing this sector? From recent statistical data of Sonali Bank of Bangladesh, we see that the credit recovery rate is 51.44% in this sector. Why this recovery rate is not large enough? Why the SMEs are failing to payback their credit to the lenders? We have tried to find out the answer of these questions in this research paper. •To review the role of SMEs in the economy as well as current status of SMEs and their financing by Banks in Bangladesh. •To find out the reason why the Banks are not interested (problems) to finance the SMEs. •To review the present role of Regulatory Authorities in SME financing and development. This study has focused upon the liquidity and profitability of private banks in Bangladesh. I hope this study will help me to know more clearly about the liquidity and profitability of private banks in Bangladesh. The study was conducted mainly based on secondary information although some information relating to entrepreneurs have been collected primarily. The sources of data include Office Records, BIBM – Library, Different Research Paper regarding SMEs, Different Publications on SMEs of different banks and some websites. Sample banks of DNCBs, PCBs, and FCBs from the sample frame, was selected purposively considering the amount of loan size, interest rate, loan processing fees, period of loans, mode of finance and management. Policies relating to SME financing such as fiscal policy, monetary policy and internal policies of commercial banks was examined thoroughly with a view to find out the influence of existing policies on SME financing. Trend and pattern of bank financing to SME was analyzed by classifying the financing in terms of areas, rate of interest, types, category, and banks. Word Processor MS Office Word. Discussion about the Small and Medium Enterprises is a vast subject, but only some selected areas are covered in the research paper. The study is basically based on secondary data. The main limitation while preparing this report was time. So it was not possible to focus everything deeply. This is my truthful declaration that the report is prepared only on secondary data. But in some cases, I found the problem of shortage of necessary data and in that cases I took supposed data, so there is a little chance of misappropriation. Any precise quantitative estimate of the importance of SMEs in Bangladesh economy is precluded by non-availability of comprehensive statistical information about these industries at the national level. The latest BSCIC estimates suggest that there are currently 55,916 small industries and 511,612 cottage industries excluding handlooms. Including handlooms, the number of cottage units shoots up to 600,000 units indicating numerical superabundance of the SCIs in Bangladesh. Quoting informal Planning Commission estimates, the SMDF puts the number of medium enterprises (undefined) to be around 20,000 and that of SCIs to be between 100,000 to 150,000. This wide variation in the BSCIC and Planning Commission estimates of the numerical, size of the SMEs might be due to at least two reasons: (a) different set of definitions of the SMEs and (b) different coverage of SME families. This strongly suggests the need for adopting and using an uniform set of definitions for SMEs by all Government agencies to help formulation of pro-active SME promotion policies. Whatever the correct magnitude, the SMEs are undoubtedly quite predominant in the industrial structure of Bangladesh comprising over 90% of all industrial units. This numerical predominance of the SMEs in Bangladesh’s industrial sector becomes visible in all available sources of statistics on them (Ahmed, M.U 2001). Together, the various categories of SMEs are reported to contribute between 80 to 85 per cent of industrial employment and 23 per cent of total civilian employment (SEDF, 2003)2. However, serious controversies surround their relative contribution to Bangladesh’s industrial output due to paucity of reliable information and different methods used to estimate the magnitude. The most commonly quoted figure by different sources (ADB, World Bank, Planning Commission and BIDS) relating to value added contributions of the SMEs is seen to vary between 45 to 50 per cent of the total manufacturing value added. While the SMEs are characteristically highly diverse and heterogeneous, their traditional dominance is in a few industrial sub-sectors such as food, textiles and light engineering and wood, care and bamboo products. According to SEDF sources quoted from ADB (2003), food and textile units including garments account for over 60% of the registered SMEs. However, as identified by various recent studies, (Ahme, M.U. 2001, ADB 2001, US-AID 2001) the SMEs have undergone significant structural changes in terms of product composition, degree of capitalization and market perpetration in order to adjust to changes in technology,market demand and market access brought by globalization and market liberalization. Historically, Bangladesh followed a development strategy in which privateinvestment was controlled through a host of regulations involving investmentsanctioning, credit disbursement, import licensing, foreign exchange allocation, etc.While these regulatory barriers thwarted private investment in general, the impact fellunevenly on SMEs. This was because of the relative inability of the SMEs to cope withthe regulations compared to their large-scale counterparts. Thus, the policy regime waslargely biased against the SMEs although, paradoxically, promoting SME developmentwas a stated objective of successive governments.In a bid to render its industrial sector internationally competitive and to movetowards greater efficiency in its production structure, Bangladesh implemented a number ofeconomic reforms during the 1980’s, underwritten by the familiar structural adjustmentpolicy. These included deregulation of sanctioning procedure and relaxation of otherregulatory barriers, easing of import procedure, reducing trade barriers, following a marketoriented exchange rate policy, and implementation of fiscal, monetary and public enterprisereforms.These reforms helped remove a large part of the policy bias against SMEs thatprevailed earlier. Recent studies confirm that these reforms had positive impacts reflected ina fairly rapid growth of the sector during the past decade. However, because of theirstructural weaknesses, the SMEs may need more pro-active policies for their developmentin addition to the further removal of the policy biases. Although successive five-year plan documents have mentioned development of small, medium and cottage enterprises as priority area, public development expenditure in this sector has not been commensurate with this declared policy. Thus, in the Fourth Five Year Plan, the revised public allocation to this sector was Taka 2,016 million which was a meager 0.58 per cent of the total public development outlay in the plan. What is even worse, only about 69 per cent of this small allocation were actually invested during the plan period. In the current Fifth Five-Year Plan, the share of the sector in total public development expenditure has gone down even further. If the sector has to make much headway, there is need for substantial increase in public investment in the sector particularly in the area of training, extension, research, market promotion, etc. A collaborative effort of the government with business associations, non-governmental organizations NGOs and other development partners is recommended in such public outlays. During the past decade, substantial reforms have been carried out in the external trade regime of Bangladesh. The import procedure has been greatly eased and deregulated. Import tariffs have been lowered and quantitative restrictions virtually eliminated. All these have facilitated greater access of domestic producers to imported raw materials. 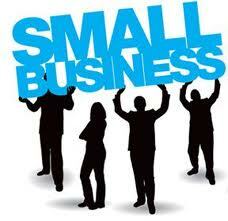 This has particularly benefited SMEs as they were affected more adversely by the regulated trade regime. However, import liberalization has also exposed domestic producers to competition from foreign goods. To ensure a level playing field and to enable domestic SMEs to compete effectively with imports, the following policy concerns need to be addressed. To enable domestic producers, particularly the SMEs, to prepare themselves to face external competition there is need for adequate forewarning about impending policy direction. This is particularly true of trade policy measures. If the government makes prior announcements of its impending trade policy changes, particularly with respect to tariff schedules, investors will be aware of the degree of competition they will be facing with the changes and will make adjustments in their investment and production plans accordingly. To encourage domestic production, there should be adequate gap between duty on raw materials and duty on finished products. In fixing duty on finished products, possible under-invoicing and dumping should be taken into account, as otherwise, effective duty rates on finished goods will turn out to be lower than that on raw materials in spite of the higher statutory rate on the finished item. The main components of indirect tax in Bangladesh are Value Added Tax (VAT), Supplementary Duty and Excise Duty. VAT is imposed on producer, manufacturer, importer, exporter or service renderer under the Value Added Tax Act, 1991, on goods or specified services, at the rate of 15% at every stage of transfer. VAT paid against the input is adjustable against the VAT on output to be collected from the buyers and the net sum stands payable on delivery of goods or specified services to the VAT authority. Exemption is allowed to certain goods or service or certain taxpayers. All cottage industries, except those producing particular products, are exempted from VAT. But, manufacturer, producer or service renderer (other than cottage entrepreneurs), whose annual turnover does not exceed Taka 1.5 million are required to pay Turnover Tax at the rate of 2.5 per cent in lieu of 15 per cent VAT. This limit is too low for small industries. As a result, small industries are subjected to the same 15 per cent VAT as their large-scale counterparts. In addition, supplementary duty is imposed at variable rates on certain categories of consumption goods across all size categories. Finally, excise duty applies to a limited number of items irrespective of size classification. Thus, in terms of indirect taxes, there is virtually no differentiation between SMEs and their large-scale counterparts, which is considered inequitable by most SMEs. Similarly, there are no differentiated treatments of SMEs either with respect to duty on capital machinery or direct taxes. There are provisions of tax holidays for enterprises of all size categories subject to rules and procedures set by the National Board of Revenue. To avail themselves of tax holiday, enterprises recommended by the relevant sponsoring agencies have to get the approval of the National Board of Revenue which is a cumbersome and lengthy process. The tax holiday, however, is not available to sole proprietorship enterprises which are the usual form of small and cottage industries in Bangladesh. Wealth tax is payable by an individual if his net wealth exceeds Taka 2.5 million. As per existing law, no wealth tax is payable by a company, the usual legal form of a large industry. On the other hand, the legal form of small industries is usually sole proprietorship, and hence these enterprises have to pay wealth tax on their business capital. Thus, fiscal policy in Bangladesh is not particularly tailored to provide support to SMEs, which is pointed out by most SME entrepreneurs as a critical policy constraint hindering SME growth. SMEs appear to be facing discriminatory competition from the commercial activities of NGOs. On the other hand, smaller units may be receiving valuable assistance in the form of training or market information from the NGOs. NGOs should be promoting small businesses and not themselves become competitors – crowding out private enterprises. Further research and debate on the role of NGOs in promoting SMEs is propounded.